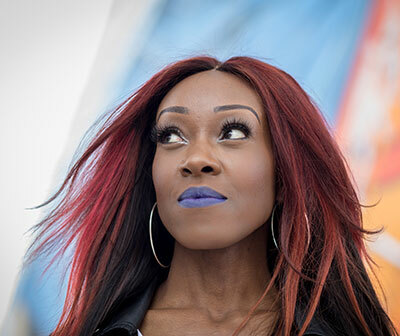 ‘Empowered By Easter’ is the new contemporary-gospel six-track EP from music ministry EmpoweredByOne featuring vocalist Rachel Francis-Nweke. The EP consists of four original songs and two revamped hymns which collectively encourage the listener to “live in the freedom and love that Christ sacrificed His life to give us”. The EP’s message of freedom is reflected lyrically but also musically. The decision to include contemporary, dance, gospel styles, and old classic hymns was deliberate to express no limitations by labels or genres, but just freedom to create sounds that capture the spirit of the message of each song. Lead track Giver of Life is a stripped back, emotionally charged, contemporary song co-written by Warren, Rachel, and award winning producer Goz-I-Am (Emeli Sandé, Israel Houghton, YolanDa Brown). “This EP will give people the freedom to live for real. To do life for real. Not just the traditional or legalistic Christian expression but authentic faith in this modern age. We need to fully embrace the freedom we have in Christ. Church is the one place you shouldn’t have to fake to fit in!” added Warren.